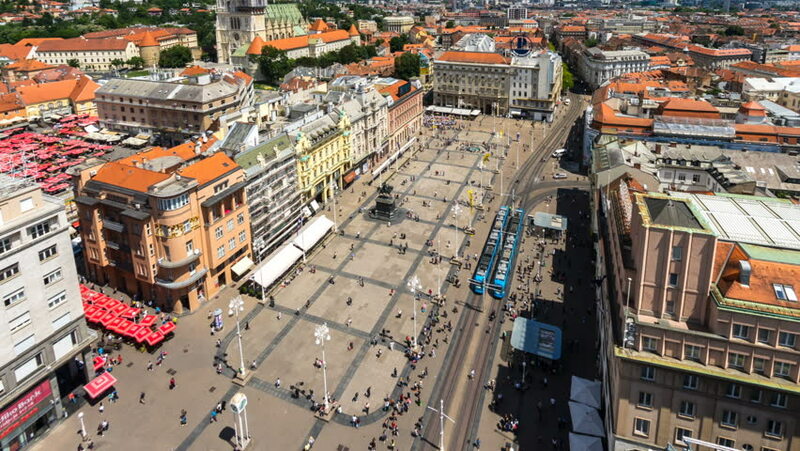 ZAGREB, CROATIA - JULY 12: Panoramic time-lapse view of the historic architecture in the centre of Zagreb as traffic and pedestrians pass by on July 12, 2017 in Zagreb, Croatia. hd00:11Aerial sequence of the Knightsbridge district in Central London, UK. Features the famous luxury department store, Harrods. hd00:12LONDON - MARCH 28: Aerial view of Piccadilly Circus, March 28, 2013 in London, England.